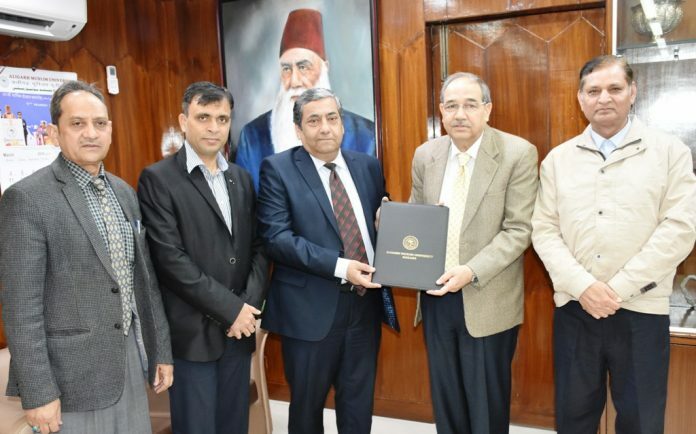 Aligarh: The Interdisciplinary Department of Remote Sensing and GIS Applications, Aligarh Muslim University (AMU) and the Samarkand State University (SamSU), Uzbekistan inked a Memorandum of Understanding (MoU) for academic relationship and through new cooperative ways. The MoU was signed by AMU Registrar, Mr Abdul Hamid (IPS); Prof Shadab Khurshid, Chairman, Department of Remote Sensing and GIS Applications and Dr Muhtor Nasirov, Vice-Rector, International Relation Office, SamSU. Dr Muhtor Nasirov also met the AMU Vice Chancellor, Professor Tariq Mansoor during his AMU visit. With the agreement, both universities will exchange undergraduate and postgraduate students, who will be treated as registered students and visitors at host institutions. 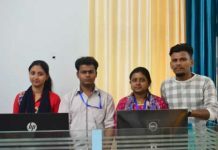 “Students selected for the exchange programme will pay tution fees at their home institutions, which implies that a AMU student selected as an exchange student to attend SamSU will pay the fees at AMU and vice versa,” stated the MoU adding that the programme of study at the host institution will be determined by mutual consultation between the student’s academic advisor at home institution and interim academic advisor at host institution. “If an exchange student chooses to undertake research at the host institution, his/her area of research will be determined by mutual consultation between the research guide at the home institution and interim research guide at host institution. The Host institution will evaluate the exchange student’s performance in the research and issue a letter to that effect, together with a technical ‘report’ of the research carried out,” further stated the MoU. It has been agreed that as a host institution, AMU and SamSU will make every effort to arrange for subsidised housing for exchange students and will examine ways to identify financial resources to fund international travel by students, teaching staff and technical staff members. “The MoU duration will be of five years and any extension shall be subject to the agreement of both parties and if the agreement is denounced by any of the parties at any time, the exchange students shall not be affected for remaining period of research work. Any modification made with the consent of both institutions shall require the same procedure, which was taken for drawing up the agreement and there will be appointment of Indian Chair/Visiting Professors to conduct the courses,” mentioned the MoU. Established in 1927, SamSU has been playing as great role in science and technology field all over Central Asia. SamSU has faculties of applied mathematics, information technology and economics and state-of-art research centres and modern computer labs. AMU initiated application of remote sensing technologies in 1984 with the establishment of Remote Sensing Applications Centre for Resource Evaluation and Geo-Engineering. The Centre was later transformed into the Interdisciplinary Department of Remote Sensing and GIS Applications running an MSc degree course. Prof Akbar Hussain, Dean, Faculty of Social Sciences was also present during the signing of the MoU.